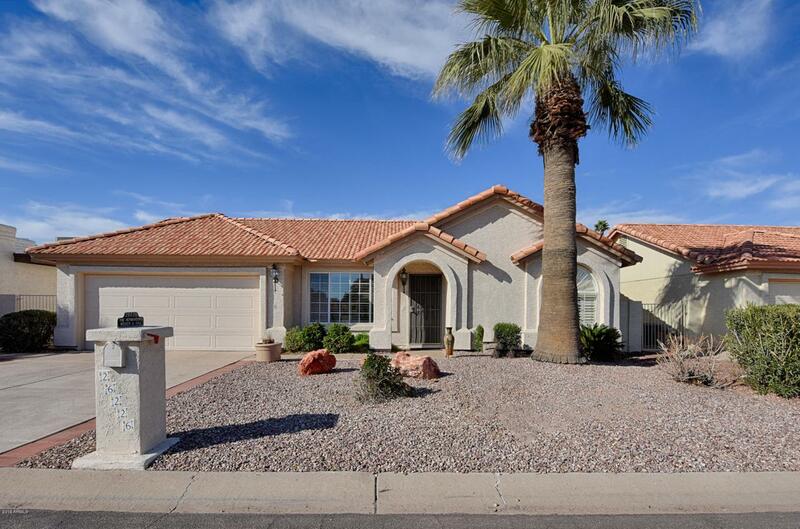 Resort style living, at Cottonwood Palo Verde. 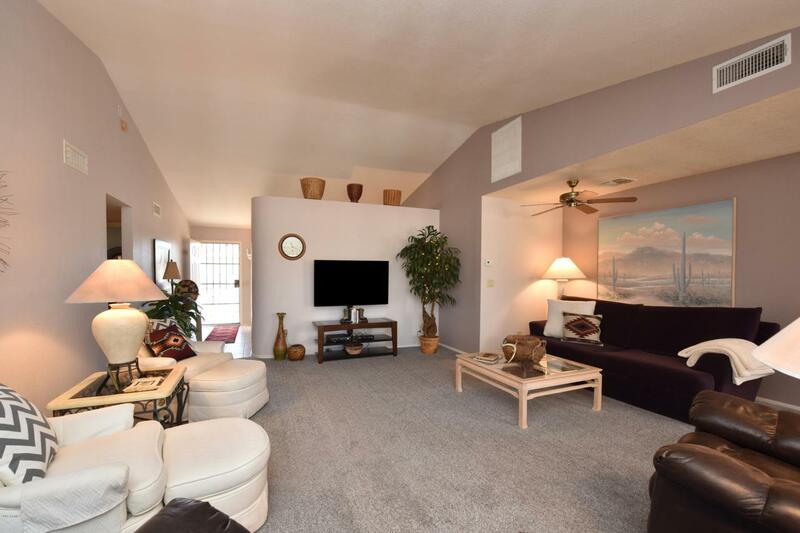 This is a spacious 2 bedroom 2 bath. Completely furnished home at this price! 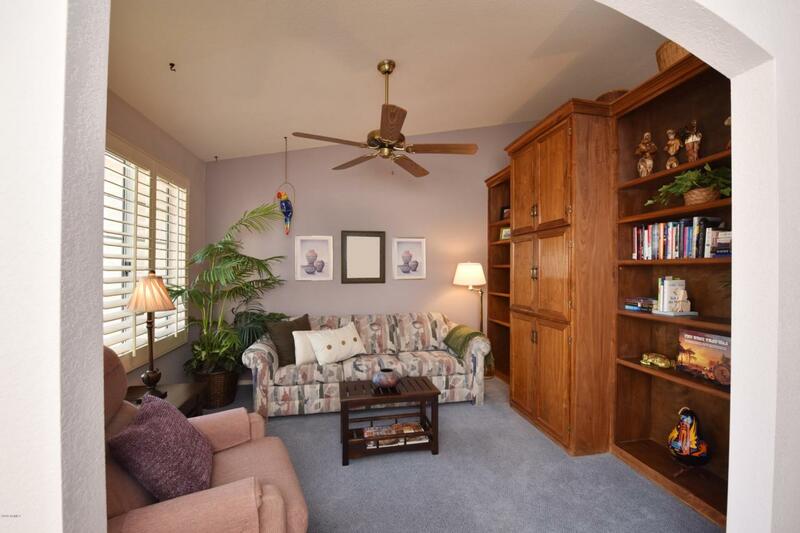 Check out the built-ins in the den with a pull out couch for guests, open great room area. 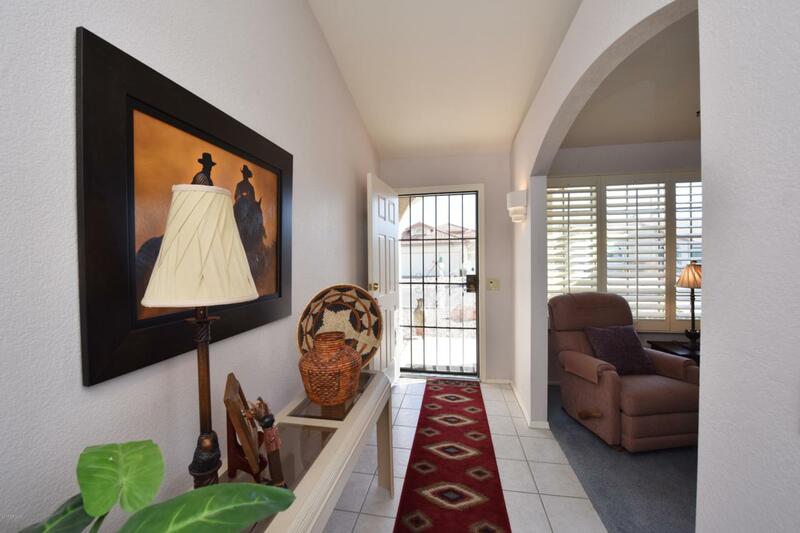 All your appliances are included, huge laundry room with washer and dryer, plantation shutters on the front of the home. Enjoy this amazing backyard with citrus trees, low maintenance backyard, 2 patio areas, furniture already in place all you have to do is just relax and enjoy it! One year home warranty included.Award winning community with beautiful lakes,heated pools to enjoy. Pickle ball,racket ball,tennis courts, golf. Clubhouse for dining out.